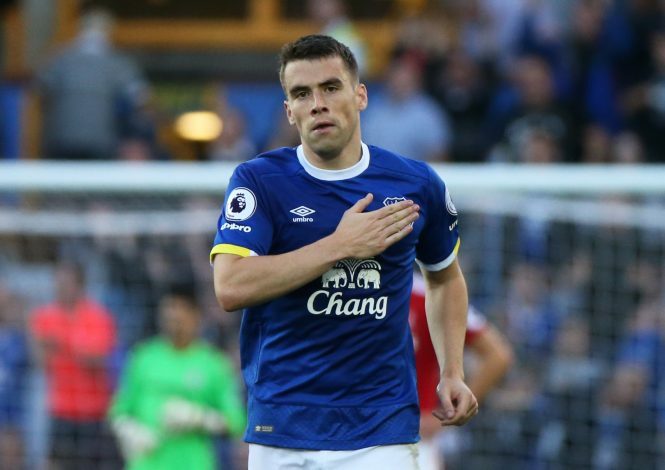 Manchester United are aiming to sign Seamus Coleman in January for a fee in the region of £16 million, according to Steve Bates of the Sunday People. The Red Devils have reignited their interest in the Irishman just 3 years after failing to prise him away from Goodison Park. Back then, David Moyes had just been appointed as Sir Alex Ferguson’s successor, and wanted to take two of his Everton players with him. While Moyes ended up getting Marouane Fellaini, he failed to convince Everton to let go of Coleman, and United eventually gave up in their pursuit of the right-back. Moyes gave Coleman his debut for Everton 7 years ago. And now, following the Scotsman’s sacking by United, the successor to his successor – Jose Mourinho – has shown an interest in signing the defender. The Portuguese boss is on the look-out for a natural right-back with experience, and Coleman fits the bill perfectly. A move for the defender would likely draw the curtains on Matteo Darmian’s Old Trafford career. Despite only signing for the club last summer and making a brilliant start to his career at the club, the Italian’s form gradually dipped, and he has failed to convince Mourinho of his abilities. He has seen his place in the first-team taken over by 31-year-old Ecuadorian Antonio Valencia, who has been a crucial player for Mourinho so far, starting in almost every game this season. Darmian, on the other hand, has made only one appearance this season, putting up a lacklustre display in United’s 1-0 defeat to Feyenoord in the Europa League. He has been linked with a move to Serie A giants Inter Milan, and looks destined to sign for them on a loan deal, which could turn into a permanent one. Coleman is just a year older to Darmian, but comes with bags of experience at the highest level, and would fit perfectly into Mourinho’s plans. However, Toffees boss Ronald Koeman is also a massive fan of the right-back, and having lost John Stones to Manchester City in the summer for £50 million, he is unlikely to let another one of his best defenders go without a fight.